What do these three things have in common: basketball, Oreo Blizzards, and the BK Whopper? 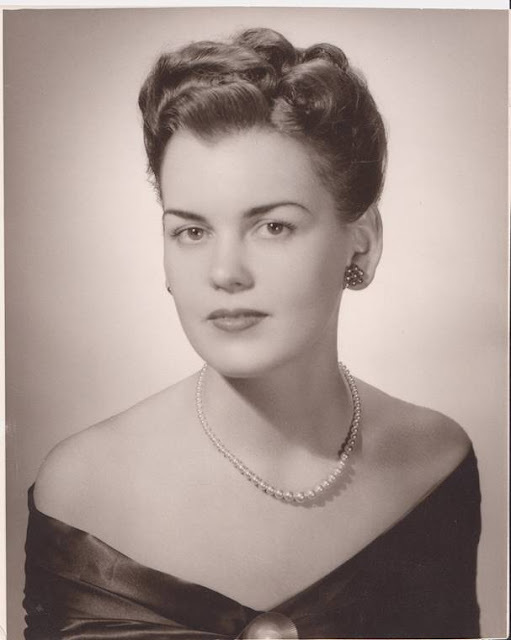 Answer: My grandmother Dorothy Shea. She passed away a few years ago, but this week we will be celebrating her birthday as a way to remember her - and as a way for the kids to learn about her. She played high school basketball in Logan, Utah... something I never learned about her until after her passing. I think I was aware that she liked watching baseball on t.v. Recently, my girls have been getting into baseball. So, we've watched different movies on t.v. or Netflix, rather - to teach them the sport. So, I'm going to do the same thing with basketball. We have two movies in the queue - ready to go to show them how basketball is cool. One is called The Pistol: The Birth of a Legend. I watched it a few months ago and remembered that this kid could spin the basketball on his finger for a very long time... they are looking forward to seeing that. We also have queued - a girls basketball movie - to show them that girls can play the game, too. This one is called The Mighty Macs, this one is also a good family movie, G-rated - and I think my girls will like it. Other than that, I've been telling the kids some other interesting things about Grandma. Like she was a very loving sister who took care of her younger Down Syndrome sister after her parents died. She could do that not only because she was loving, but because she went to school for nursing and knew how to help her. Grandma was artsy-crafty as well, into ceramics and Brazilian embroidery. See the link for a bunch of great google images of this beautiful craft. I have one pillow from Grandma with this emboidery on it - it's beautiful. Her favorite color was purple, she loved jewelry, and like me, she loved Oreo Blizzards... I'm not the biggest BK whopper fan though... if we eat out there, I'm ordering the chicken sandwich. I haven't decided what to make for dinner on the night of her birthday - either homemade-style chicken sandwiches or burgers - I'm not sure which to make... but I have a few days to decide. Grandma also played the cello, she could play the piano as well. Here are some other cool things about her that my mother told me: Mom was close with all of her sisters. She was the youngest of the group comprising Mabel, Rose, Lucille and Dorothy. Later she had another sister, Veda, with Down Syndrome. They grew up in Logan Utah and they all played musical instruments in the band and orchestra. They loved going roller skating when they were growing up and they used to sled down the hill by the Logan Temple. The city blocked off the street, no cars, it was used for sledding. I do remember that we used to go to family reunions with Grandma's side of the family - that is the reason why I am very close to my 2nd cousins (the children of my mom's cousins). She has good looking eye brows. I can see the resemblance to my mom. Oh, this is funny, this is also something I learned about her after her passing, apparently, in high school, she skipped school several days to go to the theater to watch Gone with the Wind. No surprise she had to skip school to watch it - that movie is about 5 hours long. Anyway, she went again and again during school hours to try and memorize the film. I think the number was something like 23 times! Movies must have been a lot cheaper to go to back then. But I get the whole memorizing your favorite film thing... I do that, too. Always took her children to Church, never sent them with someone else. Graduated from nurses training at St. Marks Hospital in SLC, Utah with a certificate of graduation from the University of Utah in nursing. Worked at Valley Children’s Hospital in Fresno, CA,. Also, I saw an email from my Mom that one of Mom's cousins became a nurse after hearing all the exciting and inspirational stories that Grandma shared. She loved nursing, there was a story about operating an iron lung, and so forth. I still feel like I know so little about this woman. She was my grandmother, but in the capacity that I knew her, in the time I knew her, me as a child, her as an old woman... well, I just wish I could have known her better. I'm thankful for the stories and little interesting bits of trivia that I have learned about her. And I hope to be able to pass these things onto my children, and future grandchildren so they can be as excited about family history as I am.